Every year we get excited about Black History Month in February. It’s the time of the year where we get to learn so much about our Black History and celebrate our contributions to the world as we know it. With Women’s History Month right after, I often wondered if we would ever get a month dedicated to the contributions that Black Women have made? What if I told you that it was in the works? Sha Battle is the woman behind the movement to gain recognition for the month of April as International Black Women’s History Month. Read on to find out what inspired her to start the movement, how she got it recognized in the state of Georgia and what you can do to help make this go national. Tell us about yourself. What do you do professionally? Sha: I am a native Georgian and grew up in the Metro Atlanta Area. I work as an Information Technology Consultant specializing in Oracle’s JD Edwards software. I’ve worked for GE Computer Service and Raytheon Corporation. I have contracted with companies such as CH2M Hill, Coca Cola USA, Exxon, CTG, Price Waterhouse Coopers, Corning, and several more over a span of 26 years. I have been an entrepreneur for more than 35 years and have sold officially licensed Collegiate, NFL, and Disney products. I have owned and opened brick and mortar Boutique and Lingerie stores. I even started an online dating site called Chocolate Cougar. While I am not a Cougar, I wanted to tap in on the fun of operating a dating website. It was so much fun! Wow! It sounds like you have worked with some great companies, gained an abundance of knowledge and had some great experiences. When did you get the idea for International Black Women’s History Month (IBWHM)? Sha: While I was enjoying these ventures and opportunities, I came up with the idea to create something legendary for Black and Minority women. I had an interest in creating something more historic that would uplift minority women. In 2013, I founded Black Women in Jazz & The Arts Awards. Two years later, I went on to create April is International Black Women’s History Month. I felt that Black History Month was not enough to celebrate the contributions that black women have made to world history. Many of our contributions have never been acknowledged. I knew that March was Women’s History Month and, while I am so happy about that, I felt like we [Black women] needed our own month to celebrate the contributions that we as a culture have made to world history. So, I decided that we would create April as International Black Women’s History Month and embrace every achievement varying from domestic engineering to medicine to politics to inventions to entrepreneurship and everything in between. I had no idea that Black and Minority women had contributed so much to this world, because most of it is not taught in schools. I noticed you mentioned minority women. Does this mean that Black Women History Month includes all women of color? Sha: In this case, minority women refer to women of African descent. This includes Afro-Australian, Afro-Latin, Afro-European and so much more. Black Women’s History Month is not just for Black Women in the U.S., but also extends to the Diaspora. How did you go about getting a commendation from the governor of Georgia, Nathan Deal? Sha: I completed the paperwork and obtained a proclamation from the Atlanta City Council that Black Women’s History Month will be recognized by The City of Atlanta. While I did not receive a proclamation from the governor of Georgia, I did get a commendation for Black Women’s History Month. [Note: While the proclamation from the Atlanta City Council is an official declaration that April will be celebrated as Black Women’s History Month in The City of Atlanta, the commendation from the Governor honors the celebration of April as Black Women’s History]. Then, I filed the appropriate paperwork to have both International Black Women in Jazz & The Arts Month (March) and International Black Women’s History Month (April), added to the registry for months of observance. I am now working on another month of observance which is, International Black Love Month (June). 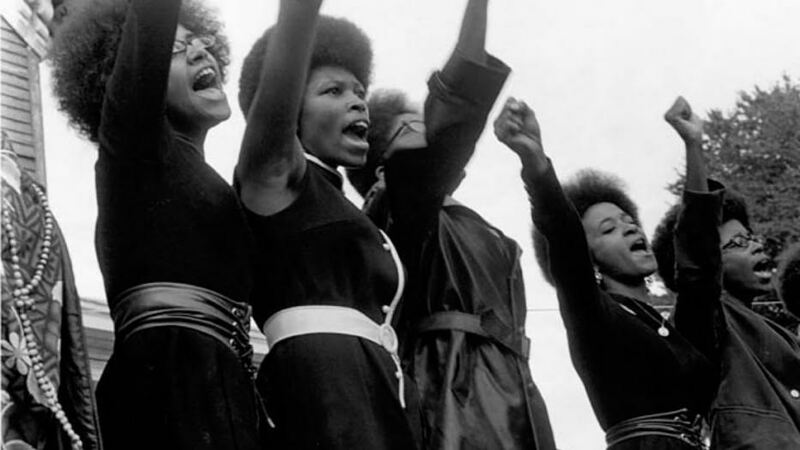 When was the very first observance of Black Women’s History Month and how did you celebrate it? How do you envision IBWHM being celebrated in the future? Sha: The first observance was April 2016. The first Black Women’s History Month Honors award show was in April 2016 as well. While it was very small, it grew to be so much larger in 2018. This year will be even bigger. I am hoping that International Black Women’s History Month will be celebrated in communities across the globe. I want to build understanding and awareness, ensuring that children as well as adults are educated on Black and minority women’s rich history. What are your future plans for the movement? Sha: I look forward to broadcasting the award shows so that the world can take part in the celebration. I am hoping that Black and Minority women can feel honored by the work that is meant to celebrate their contributions and accomplishments. Women across the globe are doing great things and are holding prestigious positions that we were not afforded before. I am hoping for a sold-out attendance at both of the award shows this year in Atlanta. The Black Women in Jazz & The Arts Awards is on Saturday, March 9, 2019 at the Sidney Marcus Auditorium at the Georgia World Congress Center. The Black Women’s History Month Honors will be held at the same venue on Saturday, April 27, 2019. I am also in the process of creating a book detailing the contributions of Black and minority women with photos and bios. It is my hope that the books will eventually be required reading in elementary, middle, high schools and colleges. I expect to complete volume 1 within the next few months. There are other initiatives and projects in the making to assist with the unmet needs of families in the communities. Literacy, hunger, homelessness and healthcare are some of the projects and initiatives that we are working on right now. What is the most important tip you would give to someone who is trying to gain support for a cause like yours? Sha: I would say, just keep putting information out there. People will listen and support. If your cause is new, most people will not take it seriously, but keep steadfast and people will warm up to the idea. Especially if you can get a Proclamation or Governor’s Commendation or other organizations behind your cause. Just do not give up! Believe in the cause you have selected and don’t waver. Don’t be discouraged. Things take time. Sha: Spread the word. Shout it out! Let women know that there IS a month of observance just for black and minority women. Our children need to know about it. Adults need to know about it. Black Women’s History does matter. We deserve respect because we do hold up half the sky, so to speak. From wet nurses to engineers, to doctors to judges, politicians and more, we have contributed to making this world as advanced as it is. Together we can do it!